Thursday night’s concert, presented by Beth Morrison Projects as part of the “Stir” series, featured Costanzo (previously seen in Boston as an excellent Xiao Qing in two installments of last September’s “Ouroboros” trilogy), singing music by the genre-liquefying Muhly. On paper, it seemed a perfect match, as both men weave the ancient and the modern into their musical practices. 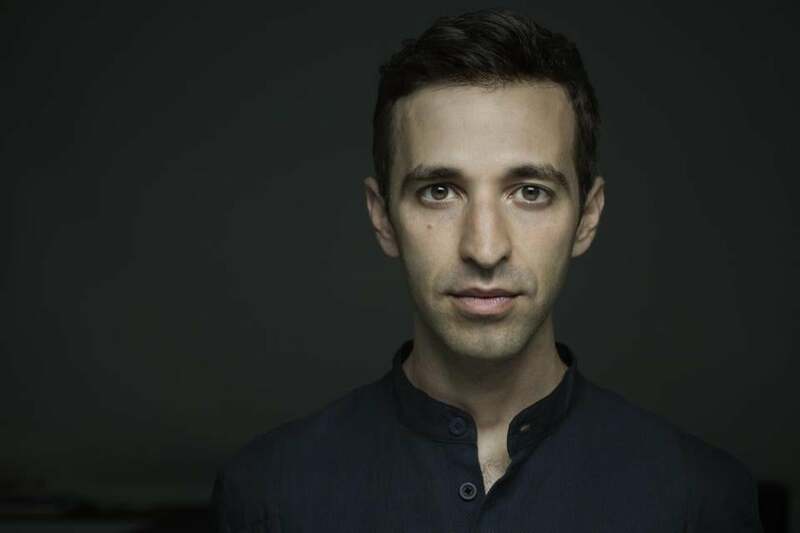 Costanzo has sung with historical-performance patriarch Jordi Savall, and he received rave reviews for his performance in the title role of Philip Glass’s “Akhnaten” at the English National Opera and Los Angeles Opera. Muhly cut his teeth on the English choral tradition. In practice, it was a mixed bag. The opening piece, “My Days,” was one such uneven selection, for viols and voices. Anxious minor fragments in the viols traded off with the mournful vocals to begin, and too slowly drew closer together, a mesmerizing meditation for Costanzo and Carol Lewis’s treble viol finally breaking the ice. “Lorne Ys My Likinge,” a setting of a medieval mystery play, also dragged, with Costanzo overpowering tenor Wes Hunter, but the denouement was stirring, with Costanzo and Hunter kneeling on either side of pianist Yukiko Oba to play distant bell-like chords together. As a soloist, Costanzo was expressive and fierce, singing in his paradoxically warm but chill-inducing voice. The aforementioned folk songs were Muhly’s take on English ballads, with the piano (played by the composer) offering rhythmically mercurial commentary on the plots. In “Old Bones,” about Richard III’s death and exhumation, the iridescent lute of Olav Henriksen complemented the countertenor, who sang with torrential force on text by Richard III enthusiast Philippa Langley. The final song cycle, “Principles of Uncertainty,” was premiered in a new arrangement for countertenor, lute, piano, and viols. The muscular sound of ancient string instruments illustrated the swells of a sea of troubles, upon which Costanzo’s narrator sailed. The text was drawn from a blog by illustrator Maira Kalman, featuring a series of disjointed but profound questions: “How do you go mad? How do you not go mad?” Unlike “Lorne Ys My Likinge” or the folk songs, it did not reach toward an obvious end, and so it made its home in the flow of the journey. And being so up close with the electrifying Costanzo was a unique treat.